A simple, traditional s hook 25mm x 8mm diameter. Sold individually in a chrome finish. Other sizes available these are commonly known as butchers hooks and used for various hanging displays. 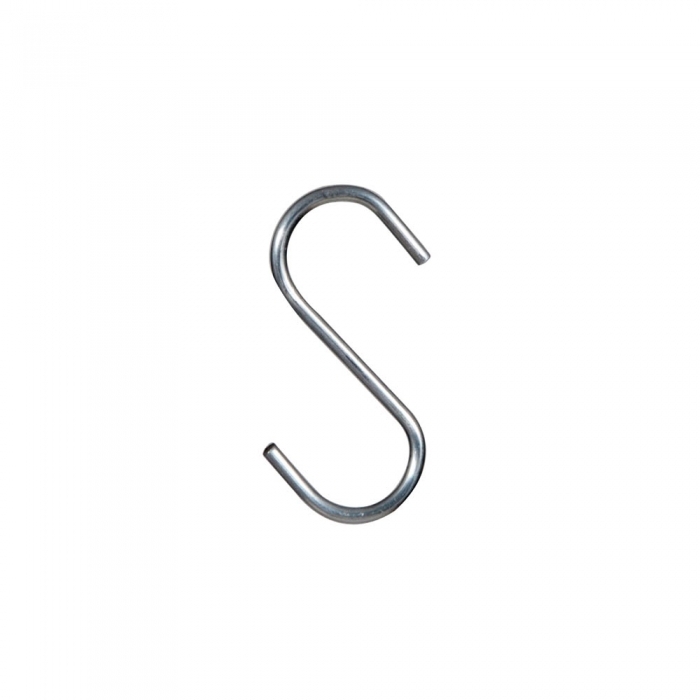 Steel s hooks have a variety of uses, they have blunt ends and are very durable. A simple, traditional s hook 25mm x 8mm diameter. Sold individually in a chrome finish. Other sizes available these are commonly known as butchers hooks and used for various hanging displays.